Becoming an AFL regular seemed an unlikely prospect for Billy Gowers 12 months ago. westernbulldogs.com.au takes a look at the Club’s leading goalkickers. 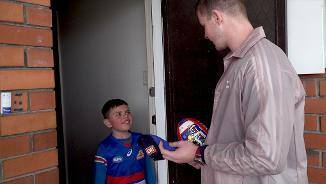 Billy Gowers on the night he had dinner at Luke Beveridge's house. Billy Gowers was selectd by the Western Bulldogs with pick 9 in the 2017 NAB AFL Rookie Draft. 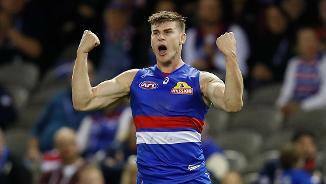 Gowers signed with Footscray at the end of the 2016 season and went on to play 16 VFL games for the Club, averaging 16 disposals, and five marks per match, and chipping in with four goals. 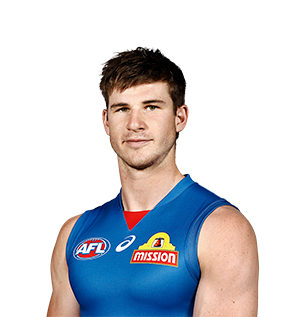 The 21-year-old son of former Hawk and Lion Andrew Gowers and former Oakleigh Charger has above average foot skills on both sides of his body, and has an excellent vertical leap.